Massada, the ancient fortress built by King Herod the Great atop a lofty natural plateau overlooking the Dead Sea, was declared a UNESCO World Heritage Site in 2001. In adding Massada to its prestigious World Heritage List, UNESCO cited several aspects of Massada’s universal value: the site preserves a grand first-century Roman villa, the remains of the most complete Roman siege system in the world, and tells the story of the tragic events leading to the last chapter of the Great Revolt of the Jews against the Romans - the last stand of the rebels who became a symbol of the struggle fight for freedom from oppression. The plateau of Massada is located on the eastern fringe of the Judean Desert, near the shore of the Dead Sea, between Ein Gedi and Sodom. 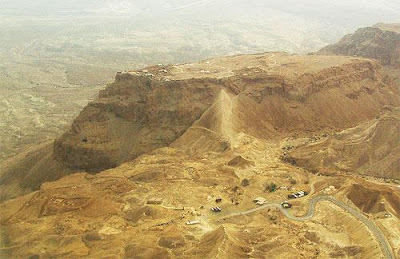 It is a mountain block that rose and was detached from the fault escarpment, surrounded at its base by Wadi Ben Yair in the west and Wadi Massada in the south and east. The plateau, 450 metres above the Dead Sea, is approximately 650 metres long and 300 metres wide. East of the mountain is sediment left by the ancient Dead Sea, scored by numerous cracks. Massada’s remote location and its natural defences were the advantages that transformed it into a fortress during the Second Temple period. Archeological evidence of some Chalcolithic and Iron Age settlement has been found, but the main period it was inhabited was from Hasmonean times until the end of the great revolt against the Romans. According to Josephus Flavious, the first fortress at Massada was built by “Jonathan HaCohen Hagadol” – apparently King Alexander Yanai (103-76 BCE), whose coins were discovered in the excavations. Some people believe Jonathan was the brother of Judah the Macabbi, who became Cohen Hagadol in 152 BCE. King Herod (37-4 BCE) was aware of the strategic advantages of Massada. He chose the site as a refuge from his enemies. During his reign luxurious palaces were built here, as well as storerooms, cisterns and a casemate wall. After his death and the annexation of Judea to the Roman Empire in 6 CE, the Romans stationed a garrison at Massada. Josephus wrote that one of the first events of the great revolt of the Jews against the Romans, which started in 66 CE, was the conquest of Massada by the Sicarii sect. They were headed by Menachem, son of Judah the Galilean, who was murdered in Jerusalem in 66. After the murder, Eliezer Ben Yair fled from Jerusalem to Massada and became commander of the rebel group on the mountain. It was a varied group, which also included Essenes and Samaritans. More rebels joined those in Massada after the fall of Jerusalem in 70. 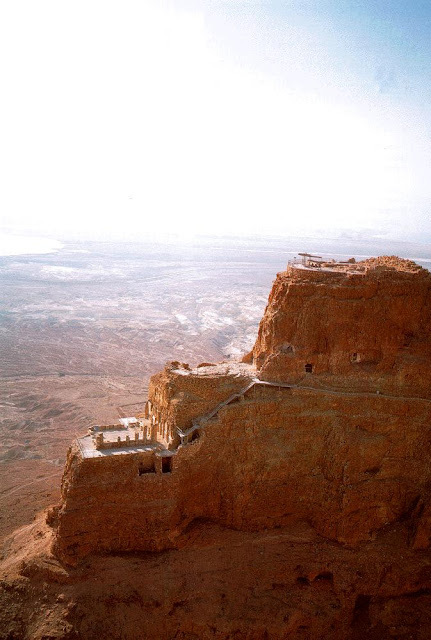 After the rebels took over Masada, they turned the palaces into their command posts and used them as public buildings. A building near the northern wall, which in Herod's day had been a stable, was turned into a synagogue. Used while the Temple still stood, it is one of the earliest synagogues in the world. The rebels also built two Mikvot. The rebels lived mainly in rooms in the casemate walls, as attested by stoves, niches for food storage and other finds from daily life unearthed in them. Articles of clothing, baskets, household implements and other items were found in piles of ash, apparently burned intentionally by their owners so as not to fall into the hands of the enemy. More than 5,000 coins were found at Masada, mostly minted by the rebels. Especially moving are the silver coins bearing the words “Shekel of Israel” and “Jerusalem the Holy,” with letters indicating each of the five years of the rebellion. Portions of scrolls were uncovered, along with more than 700 ceramic sherds bearing inscriptions. Hundreds of ballista balls fired at the fortress by the Romans and found atop the plateau attest to the heated battle between the rebels and the forces of their imperial enemy. Large rolling stones that the rebels may have used as ammunition, and skeletons, apparently of warriors who committed suicide, were found in various locations. Remains of the Roman siege on Masada are the most complete examples of such a siege in the world. The Roman camps, siege wall and siege ramp are clearly visible from the top of the plateau. 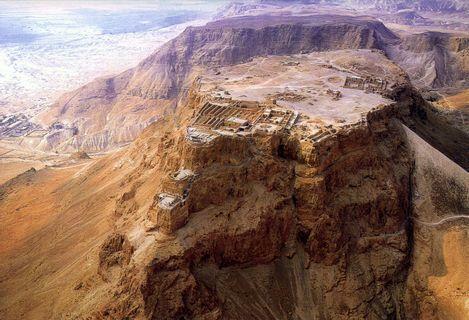 The siege wall that surrounded the base of Masada is two kilometers long and two meters thick. The extent of the Roman siege-works could be considered surprising in light of the fact that they were meant to counter the resistance of 960 men, women and children. As such the remains demonstrate the determination of the rebels to resist the might of the Romans. According to Josephus, Massada was the last stronghold in Judah. In 73 or 74, the Roman 10th Legion laid siege to the mountain. The legion, consisting of 8,000 troops, built 8 camps around the base, the siege wall and siege ramp. Captive Jews brought water to the troops, probably from Ein Gedi, and food. After a few months of siege the Romans brought a tower with a battering ram and began to batter the wall. The rebels constructed an inner support wall of wood and earth, to which the Romans set fire. When the rebels realized the situation was hopeless Eliezer Ben Yair gave 2 speeches, in which he convinced the 960 members of the community it would be better to take their own lives and those of their families rather than live in shame and humiliation as Roman slaves. Then, having chosen by lot 10 of their number to dispatch the rest, they laid themselves down each beside his prostrate wife and children, and flinging their arms around them, offered their throats in readiness for the executants of the melancholy office. These, having unswervingly slaughtered all, ordained the same rule of the lot for one another, that he on whom it fell should slay first the nine and them himself last of all;.... they had died in the belief that they had left not a soul of them alive to fall into Roman hands; the Romans advanced to the assault..... seeing none of the enemy but on all sides an awful solitude, and flames within and silence, there were at a loss to conjecture what had happened. Here encountering the mass of slain, instead of exulting as over enemies, they admired the nobility of their resolve and the contempt of death displayed by so many in carrying it, unwavering, into execution. Josephus wrote that 2 women and 5 children, who had been hiding in the cisterns on the mountaintop, told the Romans what had happened that night, the first night of Passover. A Roman auxiliary unit stayed at Massada until 106. After the Romans left Massada remained uninhabited for a few centuries. In the 5th century, during the Byzantine period, a monastery was founded. The monks used the Roman siege ramp to climb and descend the mountain. With the rise of Islam in the 7th century, the monastery ceased to exist. Massada was abandoned until the 19th century. In 1838 Smith and Robinson identified the mountain as Massada. The first to climb to the top were Wolcott and Tipping in 1842. Warren climbed Massada in 1967 and Conder described and mapped it in 1875. Sandel discovered the water system in 1905 and Schulten studied the Roman siege system in 1932. Shmarya Gutman, Micha Livneh and Zeev Meshel rediscovered the Snake Path and Northern Palace in 1953. Survey excavations were carried out in 1955-56, which led to major excavations by the Hebrew University, headed by Yigal Yadin, from 1963-65. These uncovered most of Massada’s structure, as well as thousands of well-preserved artifacts that present a rare picture of the material culture at the end of the Second Temple period. 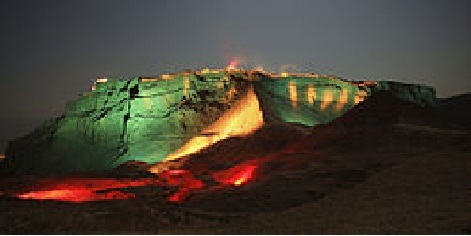 Many buildings have been conserved and reconstructed and Massada National Park was opened in 1966. The cable-car was constructed in 1971. A new visitors’ centre was opened in 1998. The bridge from the upper cable car station leads to the Snake Path gate. To the right a staircase leads to an ancient cistern and from there to the upper end of the Snake Path. The walls of the gatehouse are decorated with stucco (moulded plaster). Along the walls are the original benches that served the guards and those awaiting entry. The stone paving was intended to prevent damage to the floor by mules that brought supplies. 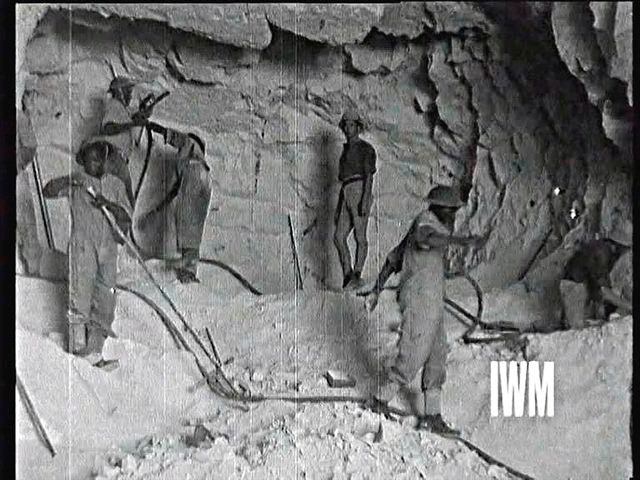 This quarry provided stone – hard, durable dolomite – for construction of Massada’s buildings in Herod’s day. The plateau of Massada consists of extensively cracked rock due to it location along the Syrian-African rift valley, which made quarrying easier. The quarry later served as a dry moat, protecting the entrance to the northern complex. Near the quarry, to the right of the path, is a grand residence. Its location at the entrance to the northern complex indicates it was used by the commandant. The residence consists of a central courtyard, surrounded by rooms, some of which were adorned with colourful wall paintings. It later served as a home for rebel families. This contains 29 storerooms, each one 27 meters long, which were used to store food, liquid and weapons. Excavations there turned up hundreds of clay pots that could hold huge amounts of food. According to the finds, Herod had expensive tastes. Inscriptions were found on the amphorae stating the shipment was to Herod, King of Judea in 19 BCE from southern Italy, from a supplier named Lucius Lanius. Among the delicacies served at Massada, Josephus mentioned a fish sauce known as “Garum”, from southern Spain. Fish bones from this sauce were found in one vessel. The king ended his banquets with apples or apple liqueur brought from Cumae, Italy. This is Massada’s most impressive structure, constructed against the northern cliff-face as if hanging over the abyss. It was built by Herod on three rock terraces, each containing grand rooms and supported by gigantic retaining walls to expand their size. Both Hellenistic and Roman architectural elements were used. The four bedrooms on the top level had a semicircular balcony that revealed magnificent views of the surroundings, especially En Gedi to the north and the Dead Sea and the Mountains of Moab to the east. A staircase led to the middle level - a large, round hall surrounded by a colonnade that extended almost to the cliff-edge. On the lowest terrace was another large, colonnaded hall adorned with spectacular wall paintings, and a private bathhouse for the palace's residents. Herod also built a large bathhouse atop the plateau for the other inhabitants of Massada. 12 gigantic cisterns were hewn into the mountainside to collect flood water; they had a capacity of some 40,000 cubic meters, enough to supply water for all the requirements of the inhabitants, from drinking water to a swimming pool, bathhouses and agriculture. Thus in a rare combination of natural conditions and human initiative, Massada became an impregnable fortress - almost. This building was originally constructed in Herod’s time and used as a stable. During the Great Revolt it was converted to a synagogue, with the addition of benches along the walls and a separate room at the back. In 2 pits under the floor of the back room biblical scrolls were found, indicating they may have been a geniza. This is one of the only synagogues found in Israel dating from the Second Temple period. South of the synagogue is the “Casemate of scrolls”. This is a collection of Roman artifacts from after the conquest of Massada. It includes a large number of parchment and papyrus fragments, including the salary record of a cavalryman from the 10th Legion, named Gaius Messus. He was born in the colony of Beirut and was paid 3 times a year, with the cost of clothing, equipment and food deducted at source. Rolling stones and hundreds of ballista balls were also discovered in the room. These 2 square towers in which pigeons were raised, also served as lookout and guard towers. They were built in Herod’s time, before the construction of the perimeter wall. The niches in the walls housed pigeons that were used for food and postal services, and whose droppings were used for fertilizer. The centre of the Byzantine monastery was the church, which is well preserved. There is a narthex with a white mosaic floor. The nave was also originally decorated with mosaic. The semicircular apse is preserved to its original height and glass from its window was found in the courtyard. The floor contains a pit, which may have been a crypt or reliquary. Dozens of clay roofing tiles were discovered during the excavation. The western room of the church contains a mosaic depicting floral designs, medallions encircling fruit and baskets of communion bread. The perimeter wall is missing above the siege ramp, where it was destroyed during the assault. The Romans raised a tower high enough to overlook the wall and bombarded the area. The rebels defended themselves by rolling large stones down on the Romans. The Romans destroyed the perimeter wall and then burned the wood and earth wall the rebels had built to shore it up. This was the end of the siege. This stone gate stood at the upper end of the path that led over the siege ramp to the top of the mountain in Byzantine times. It is still used as an entrance by those who climb the mountain from that direction. The 3,700 square metre Western Palace was built during Herod’s reign and is the largest structure on Massada. To the right of the entrance is a reconstructed model of the palace. On the north side of the central courtyard a flight of steps can be ascended to view the bath complex blow, with its mosaics and stucco. Nearby is a reception room with a magnificent colourful mosaic. On the left when descending the steps is a room with 2 bathtubs and a water cistern. This stepped pool was built during the Great Revolt. The wide steps allowed several people to enter the pool at once. A dressing room was found nearby, with wall niches where clothing could be placed. 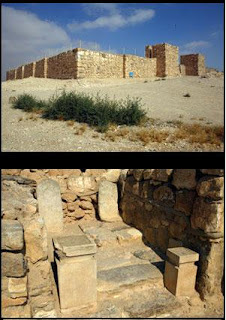 Herod built 3 small palaces for guests, which were later used by the rebels. This group of modest structures hugs the inside of the eastern perimeter wall, near the eastern observation point. These were living quarters during the Great Revolt. Artifacts discovered reveal elements of daily life during the revolt. These include textiles, stone and metal tools, baskets, pottery and glass vessels and bone utensils. Leather items, coins and jewelry were also found. In addition, Hebrew and Aramaic texts found tell us about their lives. Pigeons were raised on the lower floor of this tower, and the upper floor was a guard tower. Herod built a large, plastered swimming pool, with a flight of stairs to the bottom. In ancient times access to Massada was via the southern cliff, where a fort was built. 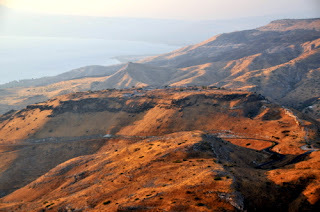 There is a spectacular view from this point of Wadi Massada, the Dead Sea, the siege wall and siege camps. These are an example of the huge investment and know-how that went into the construction of Massada’s water cisterns. A flight of 64 steps leads into the cistern the southern cistern. The eastern cistern drains the northern half of the plateau and its plaster suggests it may have been built in Hasmonean times. A plastered channel led water from the Snake Path gate to this cistern. Tel Arad, northwest of the modern city of Arad in the northern Negev, consists of a lower and an upper city. The lower city was inhabited only in the Early Bronze Age (3150-2200 BCE). At approximately 100 dunams (25 acres), Arad was one of the largest cities of its day in this country, and surrounded by a strong 1,200-meter wall. The city's streets, plazas, and buildings were meticulously planned, including a reservoir in the lowest part of the city to which surface runoff was channeled. Tel Arad consists of the ruins of a Canaanite city from the Early Bronze Age, and fortresses built by the kings of Judea during the Israelite period. Apart from the fortress, all the other remains seen at the site are from the Canaanite period. When the people of Israel left slavery in Egypt they intended to enter the land from the south. However, they encountered the King of Arad, who fought against them, blocking their way. Later, after the Israelites conquered the country, one of their conquests was Arad. In the bible is an account of the Kenite tribe, who settled in Arad. And the descendants of the Kenite, Moses’ father-in-law, went up with the people of Judah from the city of palms into the wilderness of Judah, which lies in the Negev, near Arad. In an inscription uncovered in Karnak in Egypt, Arad appears in a list of cities subjugated by Pharaoh Shishak, king of Egypt, in 925 BCE. Archeological excavations in Arad were started in 1962 under Ruth Amiran and Yohanan Aharoni. The continued intermittently though to the 1980s under Amiran, while Aharoni excavated the Israelite fortresses from 1963-1967. At the end of the 4th millennium BCE the site was a small village, which by the beginning of the next millennium grew into a planned and fortified city of 100 dunams. It was divided into quarters for the palace, shrines, residences and marketplace. Water supply was provided by collecting surface water, which flowed down the streets and drained into a large reservoir at the centre of the city. A thick-walled structure, which may have been used to guard the reservoir, is situated next to it. Arad became a centre for trade in copper products due to its location at the edge of the desert on the fringe of settled land. The Canaanite city remained in existence for approx 350 years (until around 2650 BCE) and was later abandoned for some 1,500 years. A small settlement on the highest part of the tel was established by the Israelites in the 11th century BCE. Fortresses were built there on 5 different levels. The fortress which can be seen today is surrounded by a wall 180 ft long and 164 ft wide. It contains a unique Judean shrine, a water system, residential structures and storehouses. 200 ostraca from the Judean and Persian periods were found inside the fortress. Over 100 of the ostraca were in Hebrew and approx 90 in Aramaic. After the destruction of the first temple in 586 BCE, the fortress continued to service as a military transit station during Persian rule. Most of the Aramaic ostraca are from the Persian period. During Hellenistic times the walls were repaired and a fortified tower constructed in its centre. Under Roman rule it was used as a stronghold until the 2nd century BCE. After its capture by the Arabs in the 7th century CE, it served as a khan until its destruction in the 8th century. Tel Arad has been uninhabited ever since. A shrine with a square alter, constructed from bricks and rough stone, was built in the fortress’ northwestern section. It includes an inner courtyard, sanctuary and Holy of Holies. A monument with found inside the Holy of Holies, whose entrance is flanked by 2 incense alters.. The original of this monument is now in the Israel Museum and a replica stands in its place. In the southern quarter of the city, is a reconstruction of a typical example of what is known as an “Arad house”. It consists of one room, with the bottom (50-70 cm) of its walls from rough stone, and the top part of the walls from clay bricks. The entrance is in one of the longitudinal walls, and there are stone benches around the sides. On a pedestal in the centre of the rooms is a pillar supporting the ceiling, made of wooden beams and branches. The well was constructed towards the end of the Judean kingdom, at the centre of the Canaanite water reservoir, and is 52.5 feet deep. The water from the well was transported to the fortress using pack animals. In the 1st century BCE it was renovated and several plastered storage pools, some equipped with troughs, were built nearby. The Biblical Negev included only the Beersheva and Arad basins, which drain the whole area. Negev means “wiped dry”. The names of the 2 places have been preserved down the years to the present time with no changes. This is the largest valley in Israel, at the widest part of the country. It divides the country between the North and South, between a Mediterranean climate and a desert climate. The Negev has between 50-100 mm rain per annum. There are no tels further south in the country, as the people in the desert were nomadic, they did not establish permanent settlements. The 2 tels here are different to those further north. There was no continuous settlement on them, sometimes with thousands of years between settlements (layers). This is a sign of a nomadic population. The Beer Sheva National Park, site of Tel Sheva, is located east of modern Beersheva, near Omer and modern Tel Sheva. It was occupied during 3 different periods, the Chalcolithic period (4,000 BCE – bottom layer), the Israelite (Iron) period (2,000-1,000 BCE) and during Byzantine times. The remains which can be viewed today are all from the Israelite period, when it was an urban ruling centre. The fact that settlement was sporadic shows that it was only possible during certain periods due to a more comfortable climate or at the initiative of the central government. The Hebron streambed lies to the north and the Beersheva streambed to the south-east. There are no natural springs in the area, so only when people had the knowledge to dig wells could it be permanently settled. Abraham came from Mesopotamia and knew how to dig wells, so his people were able to settle the tel. The Beersheva basin has ground water very close to the surface, and the town of Beersheva has more than enough water to meet its requirements. It even supplies water to Arad. Tel Beer Sheva was declared a national park in 1986, and a UNESCO World Heritage Site in 2005. The top of the tel is 307 metres above sea level, with the height of the tel itself approx 20 metres. The size of the site is approx 11 dunams, which housed up to 300 people in about 70 dwellings. Prof Zeev Herzog. In 1990 extensive restoration was carried out by the Israel Nature and Parks Authority (INPA), under Eliyahu Even Haim, with the assistance of the Negev Tourism Development Administration. The INPA has reconstructed several of Tel Sheva’s ancient buildings using authentic materials, including mud-bricks. More excavations were carried out by Prof Zeev Herzog in 1993-1995 to complete the uncovering of the water systems. Ceramic sherds have been found from the Chalcolithic period, but no architectural remains. During this period there were numerous settlement sites along the Beersheva and Besor streambeds. During the Israelite period it was continuously occupied for about 500 years. Archaeologists have uncovered two-thirds of the Israelite period city. Pits used mainly for grain storage from the beginning of this period were found hewn into the southern slope of the hill. One such pit was made into a dwelling and found to contain ceramic vessels and an oven. The well outside the city gate is also thought to have been dug at this time. The first fortified city was established at the beginning of the 9th century BCE, as one of the important administrative centres of the Kingdom of Judah. The city of this period featured a solid, 4 metre wide wall, with its slopes reinforced and smoothed to prevent attackers from mounting the walls. A complex gate was built, including a main entrance with an outer square, protected by an additional, outer gate. Digging also revealed the city gate, water system and residential area from this period. In the 8th century BCE the city’s entire fortification system was changed. The solid wall was dismantled and replaced by a double wall with rooms inside. A new gate was built over the remains of the previous gate. The outer gate was done away with and the water system rebuilt after part of its ceiling collapsed. Extensive storehouses were built near the gate and next to the water system. These changes may have been as a result of an earthquake. At the end of the 8th century BCE there was a large fire in the city. This may have been due to it being conquered by King Sennacherib of Assyria in 701 BCE. After an unsuccessful attempt to rebuild the city, it was abandoned. During the Persian period (4-5th centuries BCE) a small fortress, with dozens of storage pits beside it for supplies for soldiers and horses, was built at the site. During the Hellenistic period (2-3rd centuries BCE) there was a temple, whose altar can be seen next to the Basement House. During the Roman period (1st century BCE-1st century CE) there was a large fortress containing a bathhouse. 2 plastered pools can still be seen. During the Roman and Byzantine periods the main settlement moved westwards and a large city was established in the area of modern Beersheva. The city of Beersheva was later abandoned and rebuilt around 1900 by the Ottoman Turks as an administrative centre – the present-day old city. During World War I, Beersheva was a staging ground for the Turkish army, which was preparing to attack the Suez Canal. When the British army advanced from Egypt to Palestine, the Turks fortified the city. An infantry unit of the Australian and New Zealand Army Corps (ANZAC) conquered the city on 31/10/17. The well is located outside the city gate. It is very deep and its water served both the inhabitants of the city and passing commercial and military caravans. This is marked by stone coverings in the payment that leads from the main gate to the outer gate. The channel let surplus rain water away from the city to prevent damage to the walls. The channel exited via the outer gate and may have led to the water reservoir on the slope. 2 high, thick-walled towers protected the front of the gate. On either side of the gate were chambers with plastered benches, which may have served as seats for merchants or royal representatives. The remains consist of 2 different gate structures, to the left of the passageway is the left side of the 8th century BCE gate, while lower down, on the right side is the earlier, 9th century gate. This was just beyond the gates and was the only open space within the city. All streets led to this central plaza, where the local market could be held or inhabitants could gather. In the Bible such an entrance is call a “square of the city gate”. The peripheral street was parallel to the oval wall of the city. It was approx 2 metres wide. Additional streets were also found. 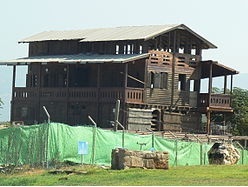 This was a large structure, which was probably the biblical house of the “city prefect” or the governor. In the center of the peripheral street there is an area dug to a depth of 3 metres, where the route of the earlier street was found. It shows that the plan of the city was the same over the whole period of habitation. There are also remains of a plastered pool from the Herodian period. Further along is a building with foundations 4 metres below the surface, 2 of whose rooms were probably used as cellars. Along the length of the street is the residential area. The dwellings are uniform and on one side are integrated into the city wall. Most had 3 or 4 rooms and steps to the roof. The casemate wall was built around the edge of the tel. It consisted of 2 parallel walls, divided by partitions into rooms. The rooms in the wall served as the back rooms of the dwellings. From the top of the tower you can get a good idea of the plan of the city, as well as a view of the Beersheva valley, modern Beersheva, Omer and modern Tel Sheva. At the foot of the tower are the remains of the Roman period fortress, which was restored in the early Arab period. This is a 600 sq metre complex with 3 storerooms, each divided by 2 rows of stone pillars into 3 long halls. Hundreds of potter vessels were found in the ruins, suggesting it was a storehouse. Various items and food products were stored in the side halls, with the middle space serving as a passage for caravans of donkeys laden with supplies. A shaft 17 metres deep, lined with stones and with a flight of steps along its sides. A reservoir cut into the chalk rock and thickly plastered. To prevent collapse it was divided into 5 spaces, with a total capacity of approx 700 cubic metres. A winding feeder channel that led flood waters from the Hebron streambed into the reservoir. The water system was intended for use in times of siege, and the well near the city gate for used for everyday requirements. The water system collapsed and became blocked at the end of the Hellenistic period, probably due to an earthquake. It is possible to descend the stairway to the underground reservoir, where the original plaster can be seen on the walls. The meticulously planned water system of this city on the edge of the wilderness near the confluence of the Beersheva and Hebron Streams demonstrates impressive engineering expertise. Near the exit you can see a portion of a stone-built channel that led flood water from the Hebron streambed to the reservoir feeder channel. In one corner of the square is a reconstructed replica of a large, sacrificial 4-horned altar, whose stones were found incorporated into a storehouse wall. The original alter is on display at the Israel Museum in Jerusalem. There is a natural spring in the centre of the village, with family houses surrounding it. All the streets branch out from here though the town, in the direction of the fields. In Ottoman times the fields were owned collectively and collective taxes paid. In the 19th century the surrounding lands was parceled out to individuals. The spring is a carstic spring from the Pekiin range. Years ago the spring used to flow down to the wadi, where it powered 4 flour mills. In the 17th century there was a silk industry here, run by the Jews. The only Jewish person left in Pekiin is Margalit Zinati, now in her 80’s. She looks after the local synagogue, which contains stones from Talmudic times and a geniza above the doorway. She also has a small museum in her home. The synagogue is an Ottoman period building, built after the large earthquake of 1837. She has a show, together with Uriel Rozenbaum. There used to be a much larger Jewish population in Pekiin, but during the pre-state Zionist period they had to leave several times for their own safety. Each time fewer returned. This happened in 1921, 1929 and 1938, after which there were only 50 Jewish families left. In 1948 the Hagannah told them to leave again, and only the Zinati family returned. One of the four industrial parks created by Stephen Wertheimer, where industry and the arts are neighbours. The Tefen Industrial Park, founded in 1985, is the prototype of Wertheimer`s vision. The sprawling facility includes five museums, sculpture gardens and art galleries. Art workshops and activities are held for the large number of school children who regularly visit the park, which is also a popular stop for students, tourists, business people and diplomats, attracting some 150,000 visitors each year. Today 20 companies are located in the park with total annual sales of $200 million. Many others have "graduated," moving into larger premises in the adjoining industrial zone and other locations. The park includes 25,000m2 of Industrial buildings spread over a total of 120 dunam (Approx. 30 acres). The Tefen Sculpture Garden includes approximately 100 pieces. The collection reflects diversity and variety in perception, material and style, while the common aspect is that all of the works are by Israeli artists. The Sculpture Garden constitutes the inner courtyard of the Tefen Industrial Park, extending over dozens of acres, covered in part by lawns and in part by gravel. There is a private collection of classic cars, belonging to industrialist Eitan Wertheimer, including approximately 100 cars of various models from the beginning of the twentieth century up to today. It is a rare collection, the largest of its kind in Israel and one of the largest in the world. Tefen is also home to the German-Speaking Jewry Museum and to the Art of Industry Museum (which features an interactive exhibition titled "Seeds of Plastic"). 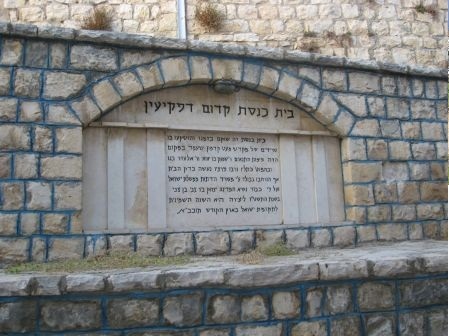 This is the tomb of a respected Druze Holy Man. 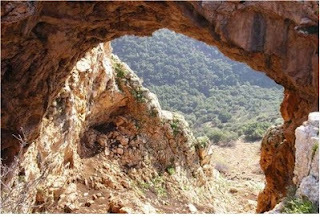 It is situated on Har Gvul in the Druze village of Horfesh, which has a population of 5,500 and is 95% Druze, 4% Christian and 1% Moslem. To the east the Meron Hills can be seen, with a break in the middle – a Horst, with a Graben in the middle. To the west are 2 ridges of hills, all the same height. Below is Kfar Horfesh, and behind are Har Adir and Har Hiram. To the north can be seen the British built police station at Sasa. The British built 5 police stations and 19 “Pill Box” forts to defend the border with Lebanon, which was then a French mandate, and also prevent smuggling. The Druze tradition was started by Moslems in the 11th century CE. It was not popular with Sunna and Shi’ite Moslems. It was started by Hakim El Amara Shia (936-1021) in Egypt. He worked with philosophers Nashtakin Darzi and Hamza Ben Ali and wrote down his ideas in the Druze Holy Book “Rosah El Hikma”. The new religion didn’t allow pilgrimages to Mecca and combined elements from all the major monotheistic religions. The religion states that G-d created the world and has been shown to the world, but has no substance. 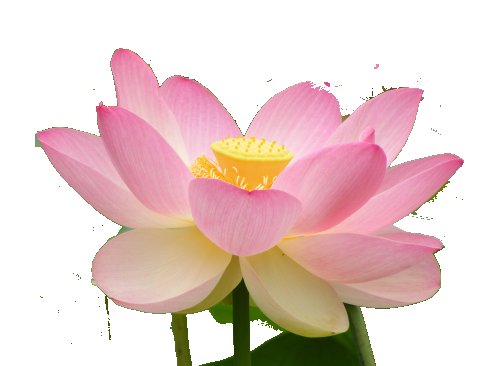 G-d is good and understands that due to this people find it difficult to believe in him. He has shown himself 70 times. The Druze religion has 5 basic concepts: Intelligence, truch, time soul and words. The soul never dies, it moves to another person after death. Later in the same century the 2 factions of Darzi and Ben Ali split. Darzi and all his people (600,000) were killed. The remaining Druze, under Bahaadin left Egypt and traveled north to Lebanon, to settle there. Others joined the movement in Lebanon, but from 1140 no new people were allowed to become Druze. Druze call themselves El Maa Hedun or Banu Maaruph. To call themselves Druze is a putdown. Moslems don’t accept Druze because they left Islam. The Druze religion is kept secret, it is written by hand and not discussed with anyone from another religion. From the age of 15 Druze men may become one of the “Akel” or “Learned”, which they will remain until they day. Only those who have killed someone or been unfaithful in the marriage cannot. Women are born Akel. They can choose to relinquish the status. 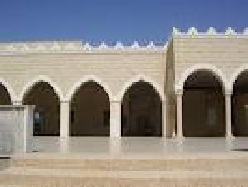 The Druze house of worship is call the Hilwa and only people who are Akel may enter. Druze men may only have 1 wife. Druze families do not adopt or have IVF. Their aim is to survive as a people. If they are in danger, they can claim they are Muslims. Druze usually side with the ruling power in countries where they live. They see this as an aid to survival. Since 1956 Druze living in Israel have been Israeli citizens and serve in the army. Their multi-coloured striped flag is religious, not national. Druze villages can be identified as they have no mosques or churches. This used to be a Phoenician city. It had its own harbour and was famous for its dyeing industry, using the glands ofs snail to produce the dyes. When the tribe of Asher came settle the land the Phoenicians were already there and they stayed, along with the Asherites. The Phoenicians had arrived in the countryin approx 1500 BCE, and the peak of their civilization was in the years 1200-800 BCE, although some still remained in Roman times. The name Phoenicians comes from the Greek word for purple (one of their dye colours) Phoenix. They had many gods and their centres of worship were Geval and Baalbeck. They were one of the first peoples to use letters in their writing. During the Mishna period there was a synagogue on the site. Later there was an Arab village, which was abandoned in 1948. In 1946 the bridge over the nearby Achziv stream was blown up during the Night of the Bridges. 14 people were killed. The Achziv stream descends from the Hermon and drains the whole area. In 1971 Eli Avivi set up “The Land of Achziv”, and declared his independence from the State of Israel. It was never recognized. This step was in protest against the IPNA park being opened adjacent to his land. His property became a bohemian holiday camp, which was popular in the late 70’s, and there was even a period when passports were stamped. To the south of the Tel is the IPNA park, which includes the rocky beach. The hall of the light-and-sound show is quarried into the mountain rock. It tells the story of the grottoes. Photographs reconstructing the quarrying of the train tunnels by the British and a virtual tour inside the grottoes are shown. The light-and-sound show lasts about 15 minutes. During the British Mandate in Palestine, with the onset of the Second World War, the need arose for a land continuum between the Middle East and Europe. The British, with the help of thousands of workers (Australians, New Zealanders, and South Africans, alongside men of Eretz Israel) laid down the track for a rail line between Haifa, Beirut and Tripoli in Lebanon. Through a super-human effort of only one-year's work, the men bore the tunnels into the rock of Rosh Hanikra, suspended 15 bridges along the route of the railroad track and built supporting walls to fend off the sea waves. Two of the tunnels with a combined length of about 200 meters were quarried into the cliff of Rosh Hanikra and a bridge was suspended above the big grotto-opening between the two tunnels. Between the years 1943 to 1948, the railroad tracks that passed through the tunnels served the British for their military requirements. In the summer of 1944, Jewish refugees from the concentration camps were brought to Israel by means of the train that passed through the Rosh Hanikra tunnels. They were exchanged for German citizens of Templar extraction who were living in Eretz Israel whose sons served in the Nazi army. To prevent the passage of Lebanese weapons and soldiers into the territory of the country slated to arise, fighters of the Carmeli division of the Haganah blew up the bridge suspended above the big grotto opening on a stormy night in March 1948. The Elephant Leg is a natural "statue" of great dimensions created by the sea in the calcareous rock, having the shape of an elephant leg. It is the continuation of the white cliff that descends to the sea. The Elephant Leg is immediately visible upon exiting the grotto track heading southward. 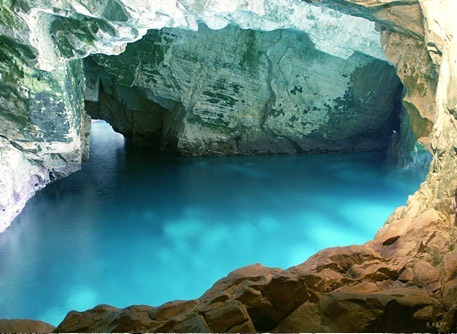 The grottoes are the resulted of an ongoing geological process over thousands of years. It began with a series of underground shocks that ripped gapes into the bedrock. Rainwater penetrated the gaping rifts, dissolving them and forming within tunnels and caves that relentlessly proceeded to expand because of the intensity of the waves slamming the rock during a storm. During strong storms in winter, when the wind speed is intense, the waves' spray rises to a height of 35 meters or more and ascends even above the edge of the cliff. After descending in the cable car, the different layers of rocks making up the cliffs can be seen from below. The cliffs are mainly made of chalk, interwoven with dark flint stones. The cliffs are gradually being worn away by the sea. 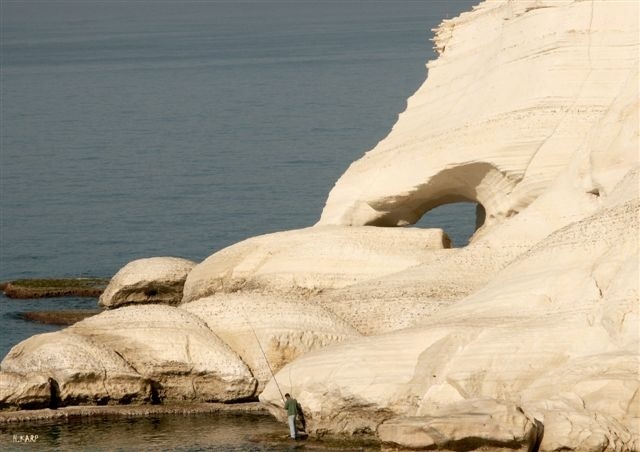 At weak points the sea water, due to its salinity, dissolving the rock and making cracks, which widen to form sea caves (grottoes). The salt also wears ago the surface of the cliffs by 1 mm per year. Over the millennium the sea level has changed, it was once 6-7 metres below today’s level, then later 2-3 metres below and has also been 6-7 metres above the present level. This has resulted in 3 different levels of grottoes. Under British High Commissioner for Palestine, Sir Arthur Grenfell Wauchope, who started in the position in 1931, times were relatively quiet. After the Arab Riots started in 1936, no more settlements were allowed to be built. Shlomo Goren had the idea to build new settlements in advance, which the British accepted, provided they were completed in 1 day. The idea was to build a fenced settlement of 1 dunam (more easily defendable), with 4 buildings inside and a watch tower. The fence was a double fence, filled with gravel to strengthen it. The design was very simple and could be built in 1 day. The British even gave guns to defend the settlements. Dozens of such settlements were built between 1936-1938. In 1939, under the new High Commissioner, Sir Harold MacDonald, things started to change. Approval was no longer given, partly due to the British getting ready for war. On 21.3.1938 50 trucks, carrying 500 people arrived to ensure the success of the setting up the kibbutz in 1 day. They broke a trail and on their backs carried everything necessary for the operation to Lower Hanita, on the 5000 dunams of land which had already been purchased. Yitzhak Sade was in charge, and a large ceremony was held. At the time, there was no forest in the area, only sand. The first night 100 men remained to guard the settlement. The Arabs attacked and 2 men were killed. Over the next 2 months there were several attacks and a further 8 men were killed. The road to Upper Hanita was built and the group moved there. Lower Hanita was used as a Hagannah training camp. 500 people live in Hanita today and its income is from both industry and agriculture. This cave was used by Abu Jildah, the highway thief, as his base and for storage of stolen goods. He had a dream that Mohamed came to him and told him to stop. After the dream, he told his associates to stop, but they refused. He decided to spy on them from the top of the arch. A large earthquake took place and his friends were killed, but he was saved, as he was not inside taking part in their activities. At the bottom is Yaara. On the right is Rosh Hanikra and the houses of Kibbutz Hanita. On the left is Shlomi and Kibbutz Matzuba. Moving further left are Abdon, Park Goren, Manot, Hila and Meiliya. Tefen can be seen at the back. By the sea from right to left can be seen Naharia, Acco and Haifa. Modern towns were built in the Galilee in the 1950’s, then in the 60’s people started to leave, as Ben Gurion had been encouraging people to move to the Negev. 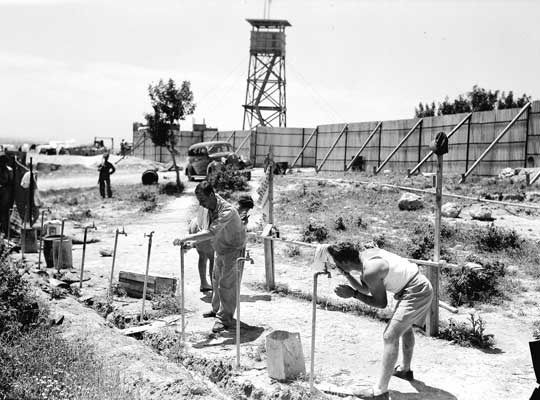 In 1962-1964 Levi Eshkol had new towns built, including Carmiel. The Arab population of the Galilee has grown proportionately and in the hills is now 60% Arab and 40% Jewish. In the 60’s the ratio was 50:50. At the end of the 70’s it was decided to set up dormitory settlements - Mitzpim, ie settlements where people live, but don’t work. In a Mitzpeh new inhabitants have to be approved before they can purchase property. In towns anyone can purchase property. On 30.3.1976 lands were compulsorily purchased from Arabs in the Galilee to set up the Mitzpim. This resulted in Arab riots. The Arabs call this date “Land Day” and commemorate it each year. The lands of 4 tribes were in the Galilee, Naftali, Zvulun, Asher (by the sea) and Isaschar. Later on the Dan tribe also moved to the north. In Second Temple times Jews lived in the Galilee; they were farmers and oil producers. At the same time Christianity was developing and after the destruction of the second temple, many people moved to the Galilee. The Mishne took place here. In Byzantine times there were more Christians than Jews in the Galilee, and in Muslim times there were few Jews. During the Crusader period any Jews in the Galilee were murdered. Hazel Perez. Picture Window theme. Powered by Blogger.